What do you crave? Roasted short rib on four-cheese poblano gratin, perhaps? Or is molten carrot cake more your style? 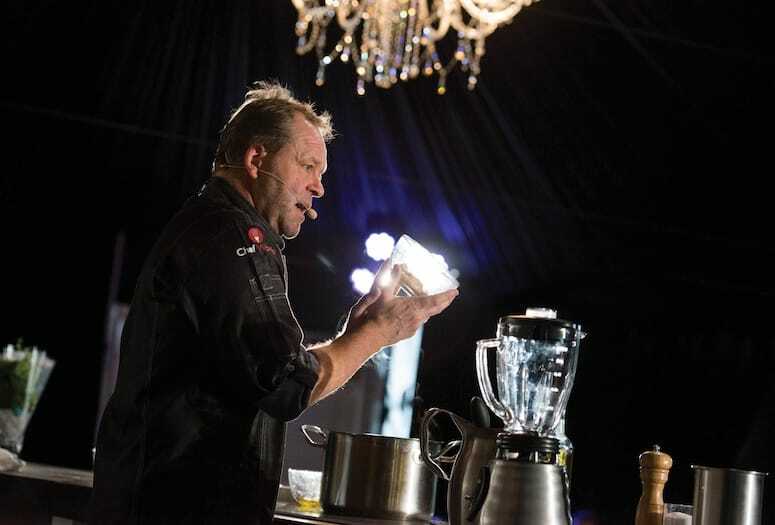 Whether your tastes run to the savory or the sweet, there were surely many things you’d have happily devoured at the seventh annual Palm Desert Food & Wine festival. Judges on Tuesday started swirling, sniffing and tasting to select the best of the approximately 1,090 wines entered for this year’s Sonoma County Harvest Fair Wine Competition. Twenty judges decked out in white coats tasted 80 to 95 wines in the Showcase Cafe at the Sonoma County Fairgrounds, said Bob Fraser, who coordinates the contest. “Today, Napa wines are very expensive, but we forget that back in the day, that most wines sold for $6, $7, $8 a bottle; nothing was more than $10. So Mel tells this story about how he was planning on spending $750 [for that first case] because no one had spent that much money on a lot of wine before. The San Francisco Chronicle Wine Competition takes the evaluation of all wines entered into its competition very seriously and trusts only the best palates to taste and judge. During the first week of January, 59 judges from all aspects of the wine industry, including media, restaurant and hospitality, education, winemaking and retail, gather together to take part in a blind judging of 6,417 wine entries. In each issue, Editor-in-Chief Anthony Dias Blue selects a wide range of the best wines and spirits from among the more than 500 he samples over the course of a month. The reviews are subjective editorial evaluations, made without regard to advertising, and products are scored on a 100-point scale. Charles Mara has fashioned four full-throttle, powerful Zinfandels. From a 90-100-year old Napa Valley vineyard, the 2002 Zinfandel Reserve Marquise Luvisi Ranch exhibits a dark ruby color as well as a big, sweet nose of raspberry and black cherry fruit, spice, and incense. ST. HELENA, Calif. A Wine merchant from Syracuse has purchased a 12— bottle case of California red wine that has no name and that he has never tasted for $24,000, the highest sum ever recorded for an American wine. In a tense and dramatic moment at an auction here, Charles F.